I decided to change this week's project slightly. 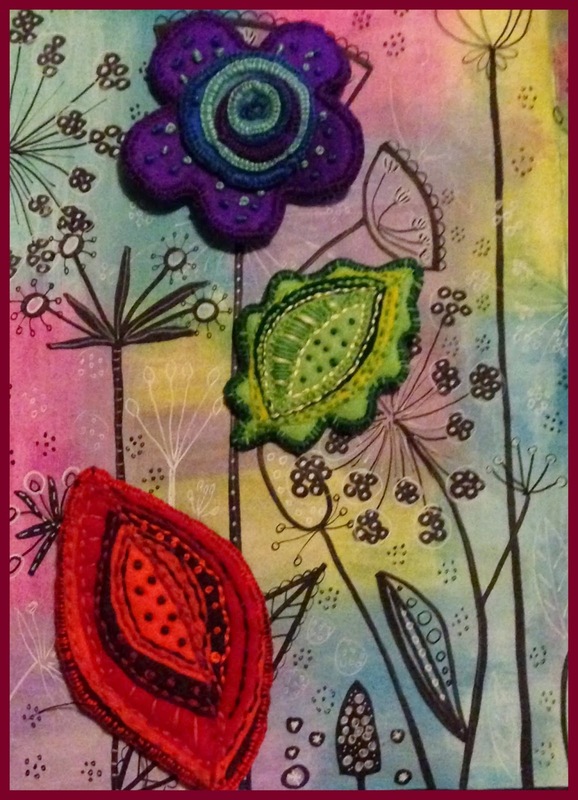 So instead we are going to make hand embroidered felt flowers and leaves. 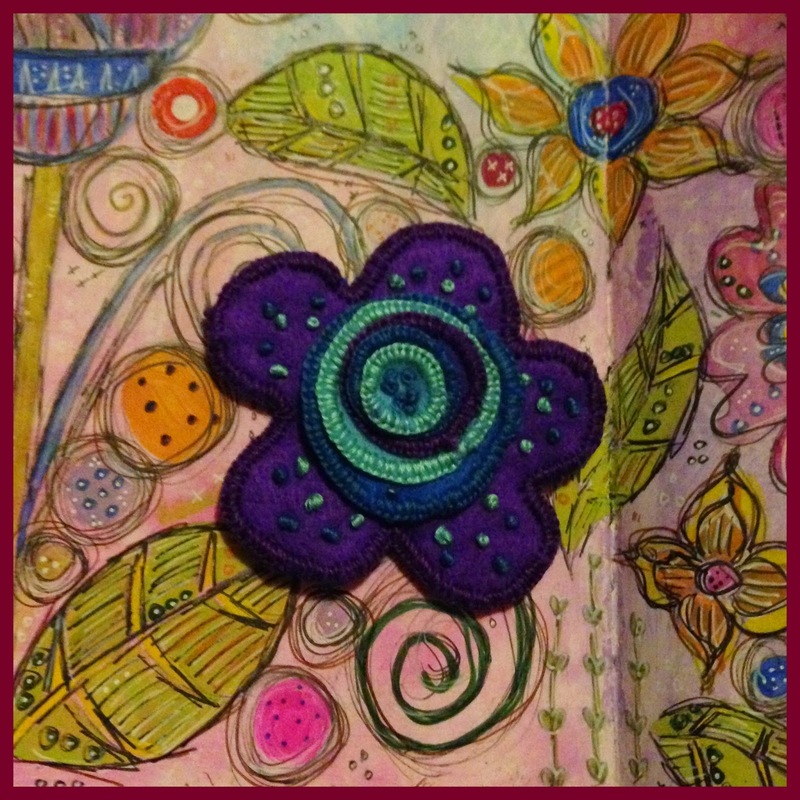 I love to draw and paint flowers and leaves and my art journals are full of pages like these. 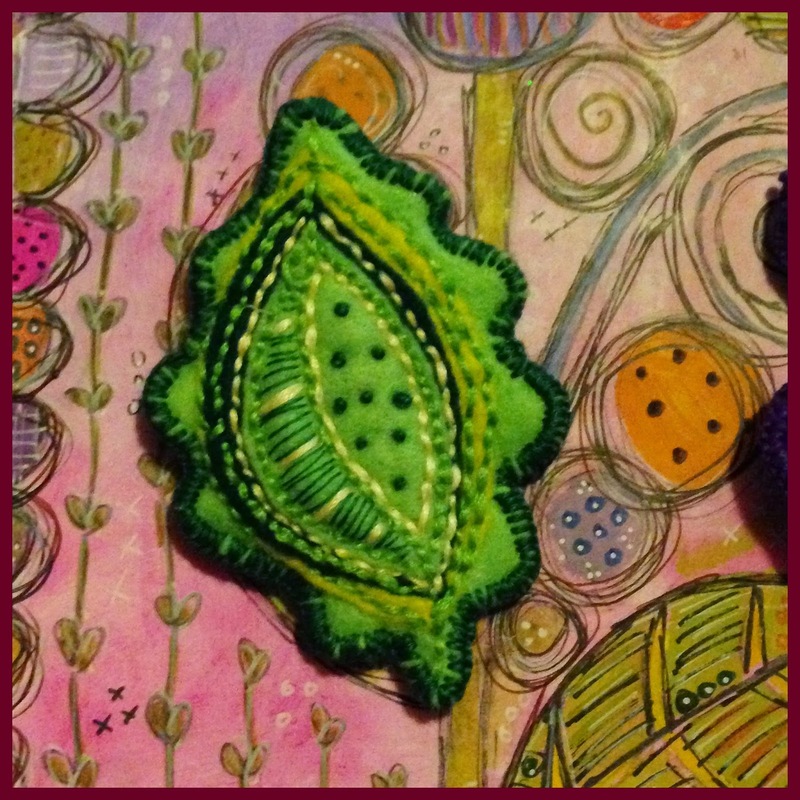 You can see how my doodles influenced the embroidery on these leaves. I have just used three stitches: runningstitch, blanket stitch (which I stitched very close together, almost like satin stitch) and french knots. 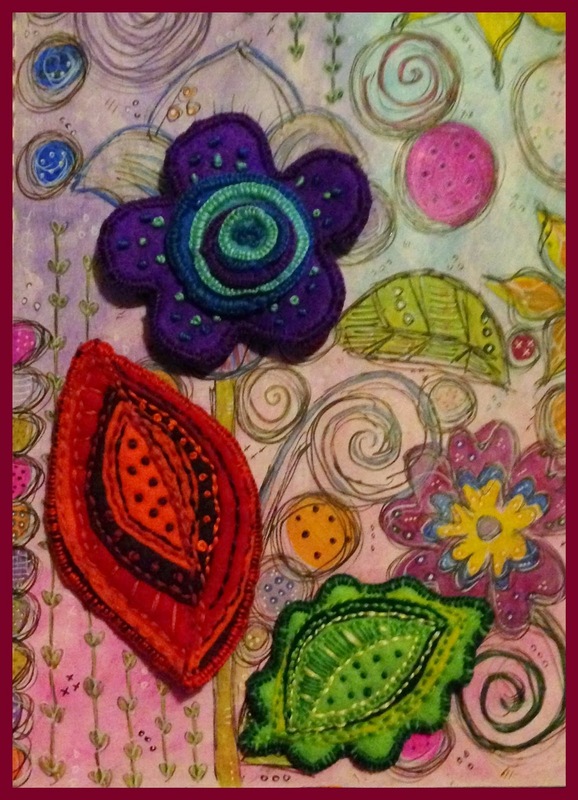 The embroidered daisy is just blanket stitch and french knots.